Amaranth can grow to 1.8m (6 feet) tall, so it will dominate a group planting. Smaller varieties can be grown in large tubs. Plant amaranth after the last frost has passed and the soil is warm. You can get an early start by growing seedlings indoors. 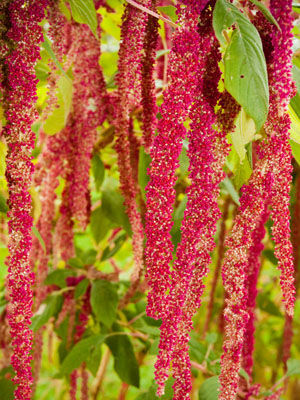 Amaranth varieties that grow head high require 60cm (24 inches) between plants.